This monolith stands in front of the Temple of Quetzalcoatl. It is very badly eroded, thanks in part to the use of a very porous and presumably volcanic rock for its creation. There was no information on what it might be for, and I haven’t been able to find any more information about it since. 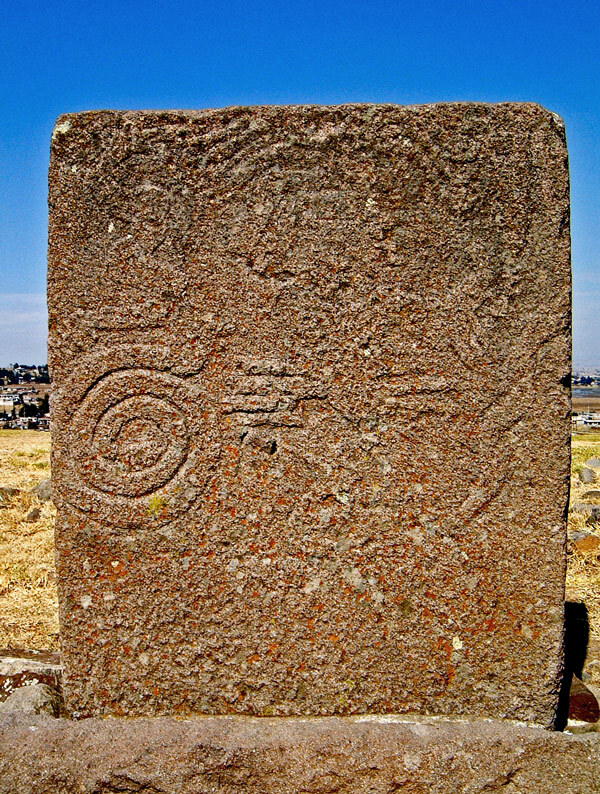 The left-hand side does clearly have a coiled serpentine marking, which looks much like the Temple from above, and above that there does appear to be a man kneeling down facing to the right.